In the New Work Spotlight this week is the Pale Pink, Magenta, Purple, and White Mandala. Shown above in the Women's All-over Print T-shirt (available at Society6), this week's mandala is bright, vibrant, and feminine. Shown below are products from my line available at Society6. 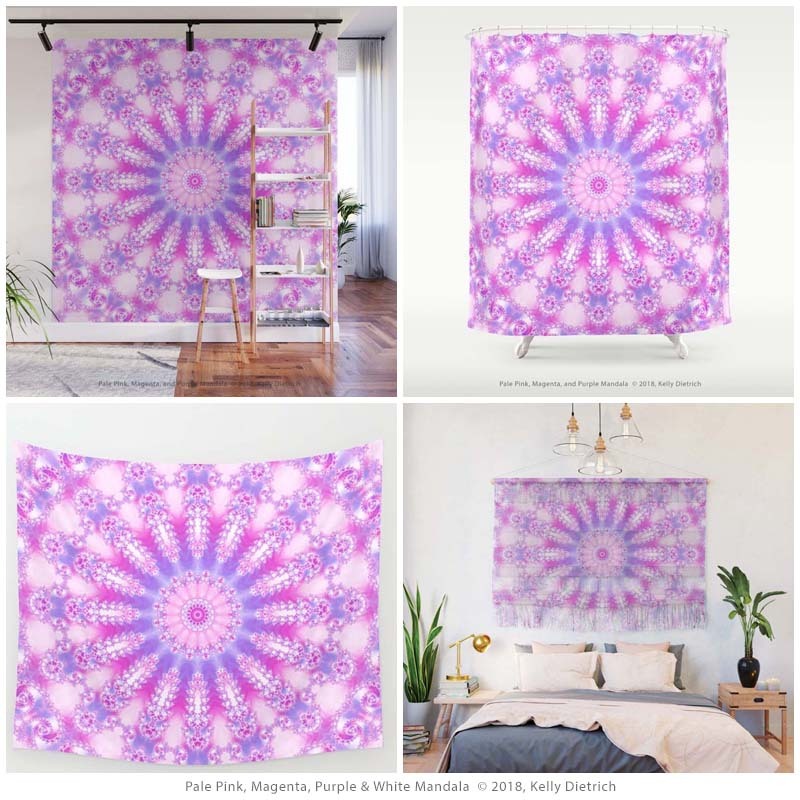 Listed in clockwise order starting at the top left: Pale Pink, Magenta, Purple & White Mandala wall mural, shower curtain, wall hanging, and wall tapestry. Thanks so much for taking a look at my latest mandala design. Be sure to check back next week for another featured work!